The human body holds on to stress in the form of tension – in your back, shoulders and neck. Between stressful days at work where time is spent sitting for hours and the daily wear and tear that we experience in our personal lives, it goes without saying that our muscles are tense more than they are relaxed. Massage therapy is known for it’s ability to release tension and bring about a sense of relaxation. However, for muscles that hold lots of tension or require a deeper technique, we recommend a hot stone massage. 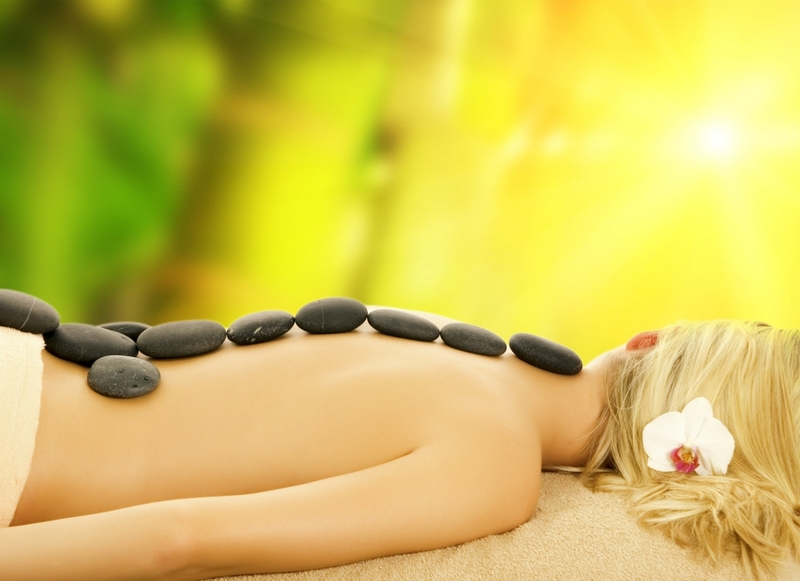 A hot stone massage incorporates warm, smooth stones into the standard massage method. These stones act as an extension to the therapy provided by the massage therapist, in fact, the heat of the stone not only increases levels of relaxation, but they also loosen up the muscles allowing for the massage therapist to work deeply and release more tension. The stones used in hot stone massage are also great for increasing levels of energy throughout your body, so it’s not unheard of to place them along the spine, in your hands or on the muscles that are especially tense. If you’re looking for a massage that gets deep into the tension that your muscles are holding, a hot stone massage is one of the best options! At Skin to Soul, you can count on the trained massage therapists to provide you with an enjoyable massage that will leave you feeling relaxed and relieved. Call to schedule a hot stone massage today!